Update: As promoised, Grifta launched its Kickstarter campaign on Monday. Gamepads haven’t really changed much over the years. Sure, they’ve evolved with the addition of more buttons, joysticks, triggers and haptic feedback but they’re still more or less a one-size-fits-all design dictated by the manufacturer. A product heading to Kickstarter on Monday aims to reinvent the gamepad in a way that makes you wonder why it hasn’t been done before. 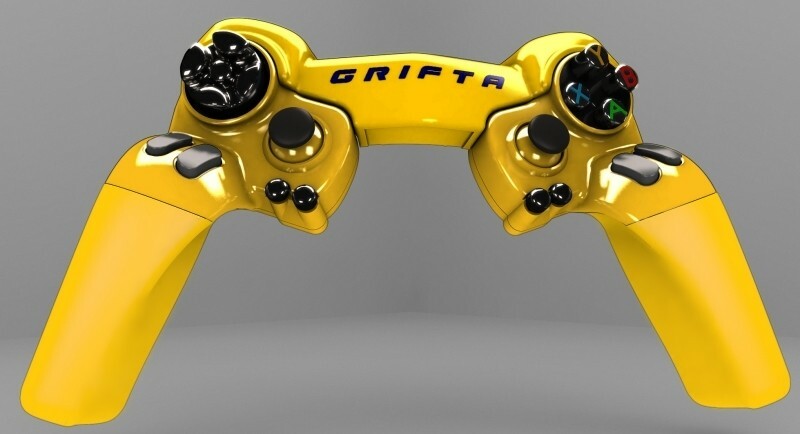 The Grifta is a modular gamepad that consists of a left unit, a right unit and a connecting module. In its standard configuration, you get a somewhat average looking gamepad with two large handles, a directional pad on the left and ABXY buttons on the right. Triggers, joysticks and other buttons are mirrored on both the left and right unit. What makes the Grifta stand out is that it can be disassembled and reassembled to build all sorts of new configurations. In Split mode, you can use just half of the controller which frees up your other hand to use a mouse or perhaps even a keyboard. Another mode called Antlers uses an attachment with infrared tracking and appears best for first-person shooters (and for use with an Oculus Rift). There’s even a Mobile mode that allows you to attach a smartphone and use one or both pieces of the modular set (or again, a mouse) and a tablet mode for holding your large-screen mobile device. The company’s website notes that a Kickstarter campaign is planned to go live on Monday and that only a few minor tweaks are needed before it’s ready to ship although the device in the second picture looks an awful lot like an early prototype that has been 3D printed. The gamepad will be compatible with Windows, Android, PS3, PS4, Xbox 360 and Xbox One. It appears as though you’ll need a XIM 4 adapter for certain applications, however, which may drive the entry price up quite a bit. We should learn a lot more about the Grifta next week when the Kickstarter goes live.